Few figures loom as large in the intellectual history of revolution and postcolonialism than Frantz Fanon. An intellectual who devoted his life to activism, he utilized his deep knowledge of psychology and philosophy in the service of the movement for democratic participation and political sovereignty in his native Martinique and around the world. With FranzFanon, Peter Hudis presents a penetrating critical biography of the activist’s life and work. Countering the prevailing belief that Fanon’s contributions to modern thought can be wholly defined by an advocacy of violence, Hudis presents his work instead as an integrated whole, showing that its nuances—and thus its importance—can only be appreciated in light of Fanon’s efforts to fuse philosophical theory and actual practice. By taking seriously Fanon’s philosophical and psychological contributions, as well as his political activism, Hudis presents a powerful and perceptive new view of the man and his achievement. This brief, richly perceptive introduction to Fanon will give new force to his ideas, his life, and his example for people engaged in radical political theory and taking action against oppression around the world today. 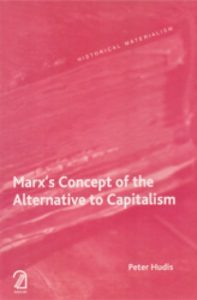 Tony Pecinovsky, “Marx, psychiatry, and national liberation come together in Fanon bio,” People’s World, April 5, 2017. Chris Newlove, “Frantz Fanon: Decolonisation through revolution,” International Socialism, April 5, 2017. Lucie Kim-Chi Mercier (2016) ‘Fanon’s Pantheons’, Radical Philosophy 198, pp. 44-46. “Why Should Revolutionaries Read Fanon?” Head-Fixin (UK, orig. appeared in rs21’s magazine Revolutionary Socialism in the 21st Century), Jan. 26, 2016 . 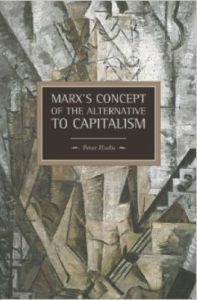 With Frantz Fanon: Philosopher of the Barricades, Peter Hudis makes it clear that he simply has no equal today in using a Marxist humanist theoretical lens to illuminate the complexities surrounding some of the most important political figures and events of our times. This is an iconoclastic exegesis of Fanon’s life and work, and is sure to leave a lasting contribution to the study of this storied revolutionary. 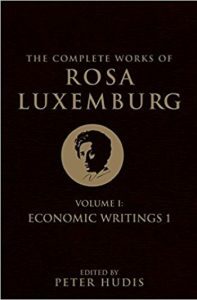 In what is sure to become a classic text, Hudis shows himself to be one of the most important thinkers of our generation. If you are new to Fanon or you are returning to his work, Peter Hudis’s Frantz Fanon: Philosopher of the Barricades is a must read! 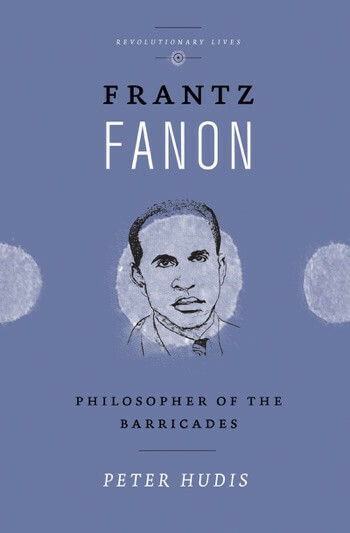 Frantz Fanon: Philosopher of the Barricades is a very lively and provocative reading of Fanon’s life and work that challenges many of the more recent interpretations of this major Africana figure. In the era of the postcolony and its entrapment by neoliberalism, Hudis very strategically places his emphasis on the revolutionary nationalist aspects of Fanon’s corpus, and provides a very spirited defense of them. 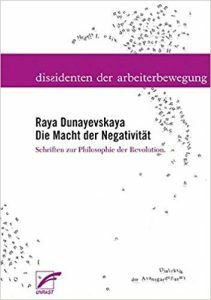 Very good reading for the time of growing inequality that we are passing through.